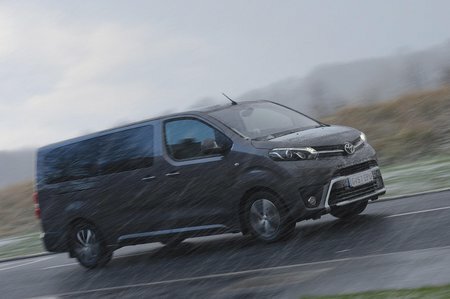 Toyota Proace Verso 2.0D 180 VIP Long 5dr Auto 2019 Review | What Car? What Car? will save you at least £2,970, but our approved dealers could save you even more. It is available in one length only, Long, and gets just seven seats to give its occupants room to stretch out in comfort. Leather seats, a panoramic roof, a surround-sound hi-fi, electric front seats with lumbar support and massage function, as well as a second row that can rotate 180deg, are all standard.